Our company mainly deals with the research and the production of Industrial refrigeration machines and peripheral equipments for injection molding machines by bringing in German technology. In order to satisfy the need of the market, we began business in Shenzhen in 2005. Our company concentrates on the research and development, design, production and sales in high technology. 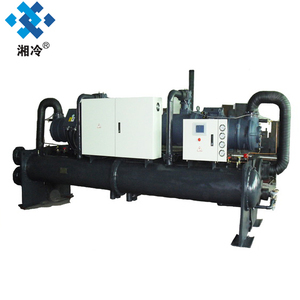 We mainly produce industrial air cooled chillers , industrial water cooled chillers,water cooled screw chillers ,air cooled screw chillers,laser chillers,oil chiller,cooling tower and so on. 4, We supply the spare parts and technical support in & after the warranty time. 3, Spare parts and technical support at most economic prices after the warranty. We will send you information and photos at different production stage of your order. 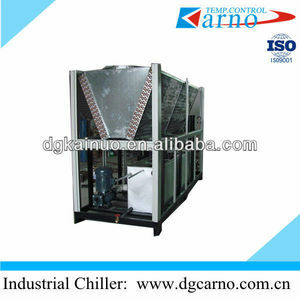 Chemical/Food/Plastic/Electroplating industry daikin screw air cooled water chiller price (KNR-160AS) Feature of air cooling industrial screw chiller: 1. 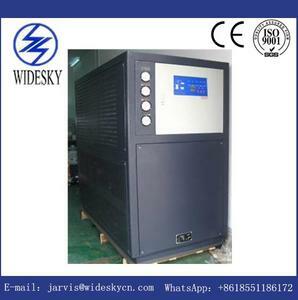 KN series industrial air cooled screw chiller with imported compressor; 2.Highly effective live threshold energy quantity control, realizes the graduation or stepless energy control. and it can save the cooling tower and auxiliary device 7.Installed with import compressors, highly efficient shell condenser and evaporator, excellent cooling, quiet and low electricity consumption. 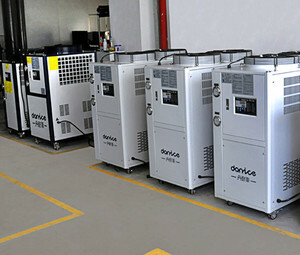 Quality in each parts of air cooling industrial screw chiller: Carno brand CE certificate Air Cooled Industrial Chiller adopts international brand compressors made in USA,Germany, Italy and Japan, each chiller equipped with numerous safety devices for key parts, Quality, reliability and energy-saving are the three core philosophies embodied in all CNCEN products III. 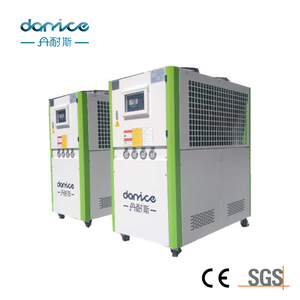 Water cooled chiller open type Features of Unit Compressor: Screw type, smooth operation, the vibrate, noise, activate the torque are all less than reciprocating and centrifugal type. Water flow on the refrigerant pipe, add PP manger to make the chilled water roundabout flow up and down the screen, increase the heat transfer efficiency. Frame of unit: with a thick steel plate and Angle steel, channel steel, durable and never deformation. We select imported efficient hermetic scroll compressor as our most important parts in our chiller ,which has a compact structure,small size,light weight,easy installation and many other advantages. 2.Installation of all components, running tests has been finished before ex-factory,As long as users connect the waterway and the circuit ,it can be put into use. 3.R22,R134a,R407c,R404c refrigerant are all available , our standard chiller refrigerant is R22,If you need other environmental refrigerant R407c,R134a, pls let us know. Industrial cold water machine is mainly used in the manufacture of below normal temperature water equipment, the lowest temperature can reach - 35 degrees, the standard machine adjustable controlled between 5-30 degrees, also known as the ice water machine, cold water machine, cold water machine, widely used in modern industry. 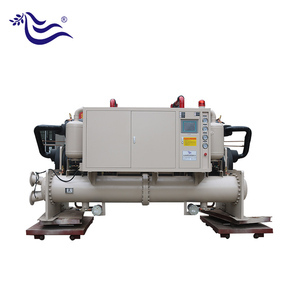 The characteristics of baishiteng industrial water chiller: 1. 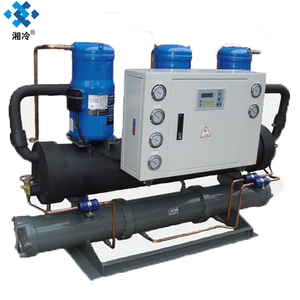 The cold water machine chooses new imported compressor, high quality water pump, brand electric appliance, advanced technology, mature technology, fine workmanship and energy saving. 2. 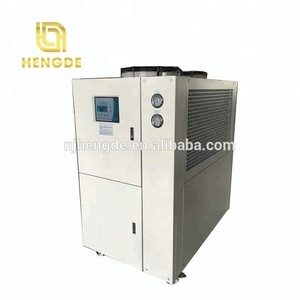 Water cooled chiller is small in size, large capacity, low temperature performance is outstanding, reliable and durable, the product design based on the characteristics of industrial application, a built-in low temperature water circulating pump and stainless steel water tank using frozen is extremely convenient. 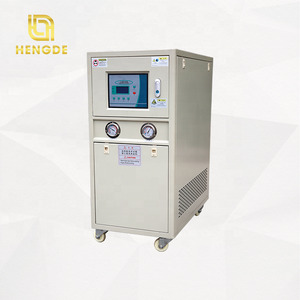 Shenzhen Hero-Tech Refrigeration Equipment Co., Ltd.
Foshan City Nan Tai Metal Co., Ltd.
Dongguan Zillion Refrigeration Machinery Co., Ltd.
3. Motor overload protector. 4. Coil verheated protector. 6. Water shortage protector. Nantong Tobel Intelligent Controlling Equipment Co., Ltd.